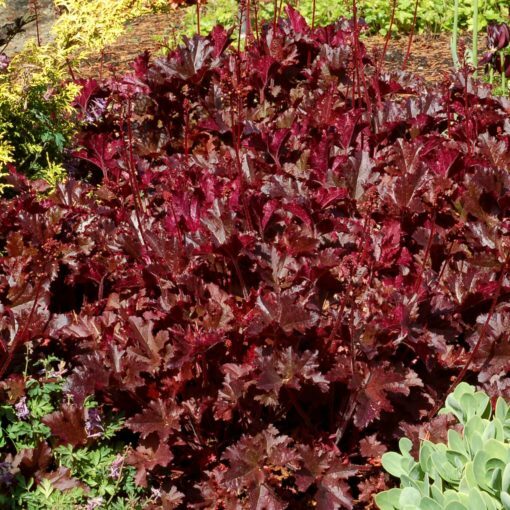 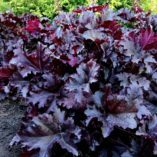 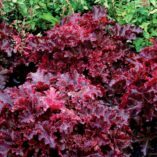 Heuchera ‘Midnight Ruffles’ | TERRA NOVA® Nurseries, Inc.
Our RUFFLES™ series have H. villosa breeding which gives them a larger leaf and plant size, better heat and humidity tolerance, as well as good cold-tolerance. 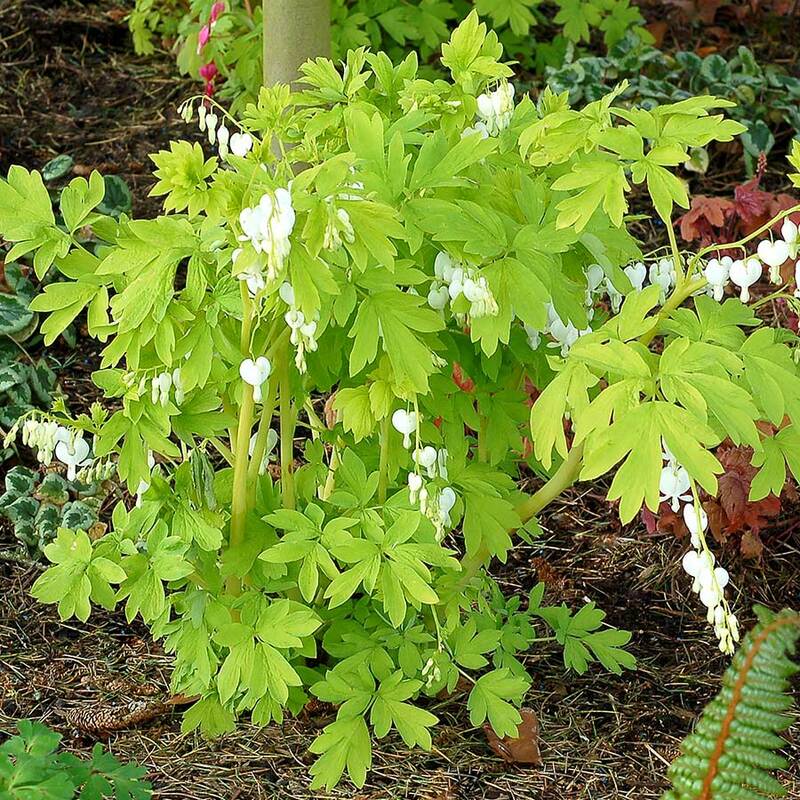 Vigorous is the word! 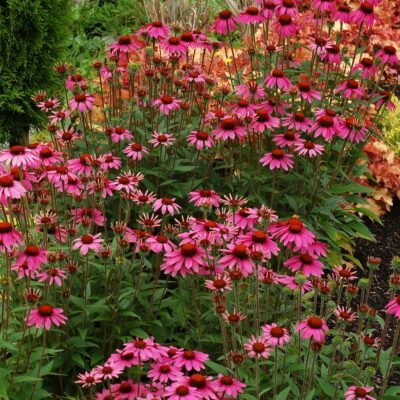 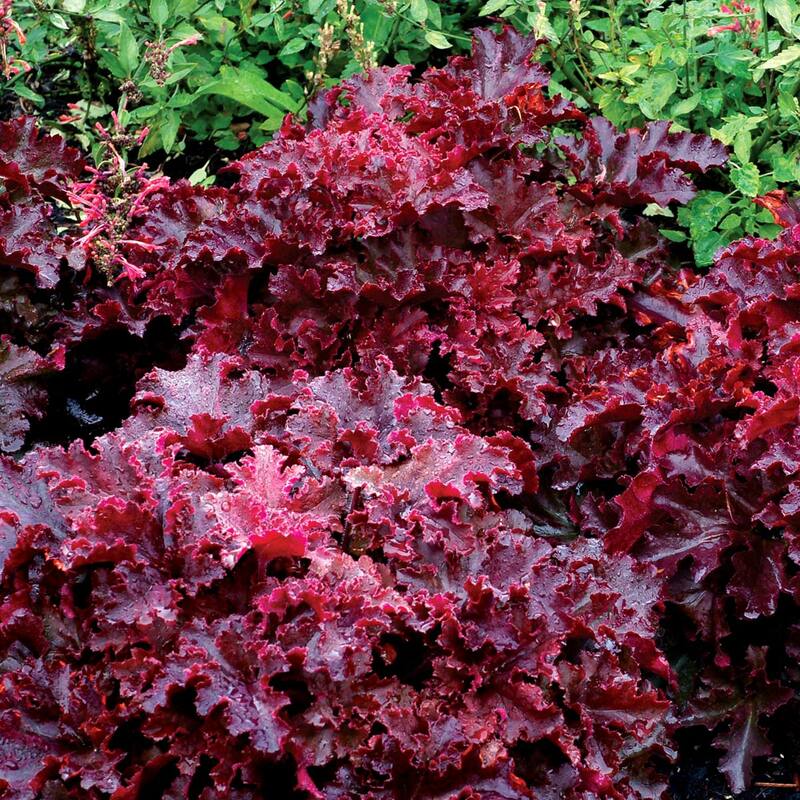 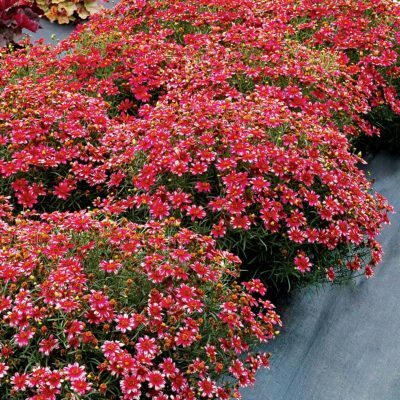 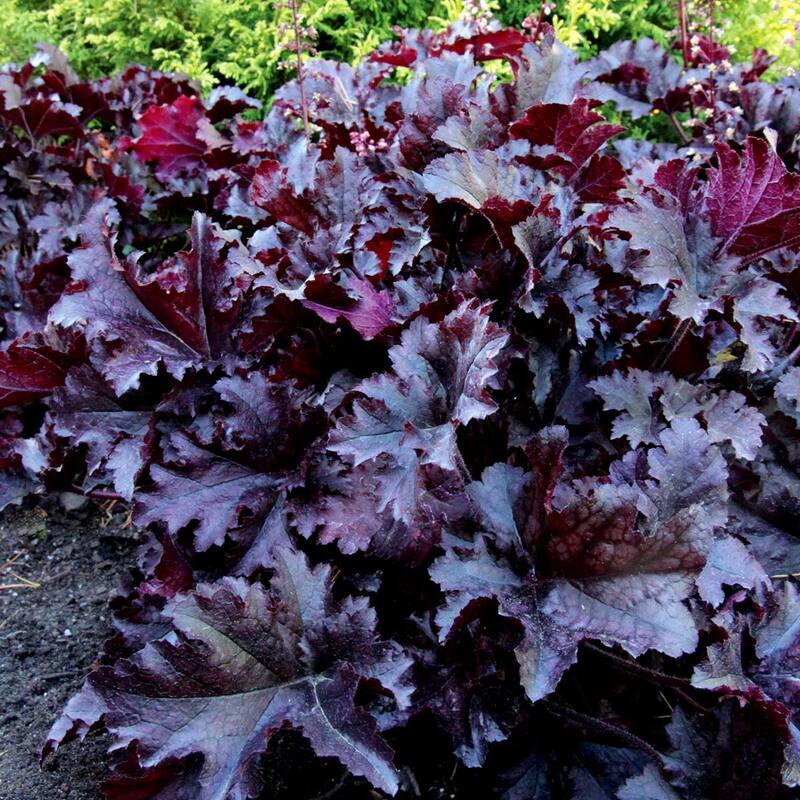 'Midnight Ruffles' has large, very ruffled, red brown to almost black leaves. The shiny foliage with its crisply ruffled leaves shows its purple backs, which are delightful to view. 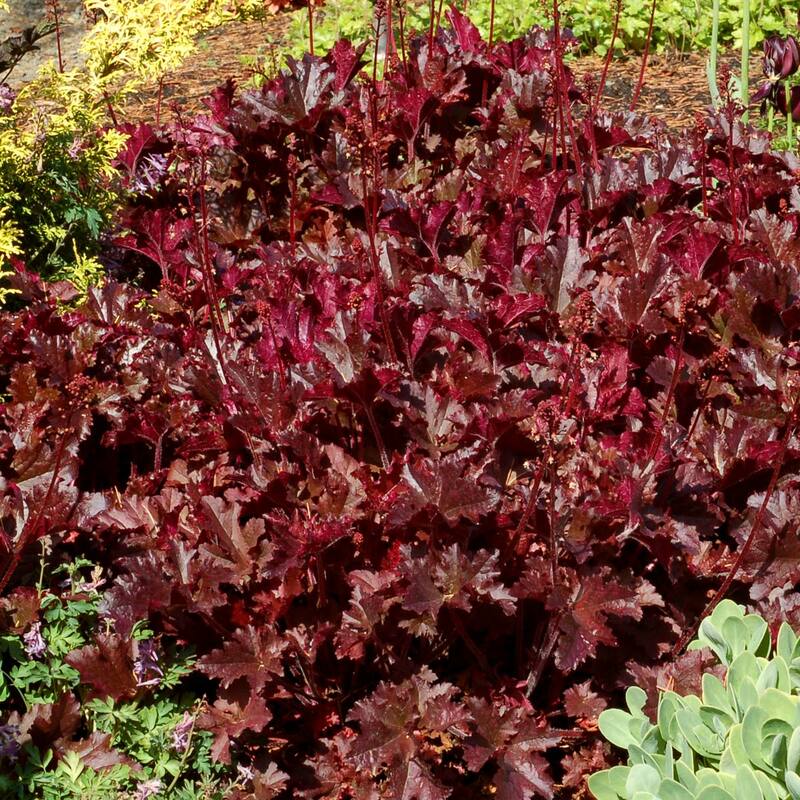 Great in full sun in Oregon. 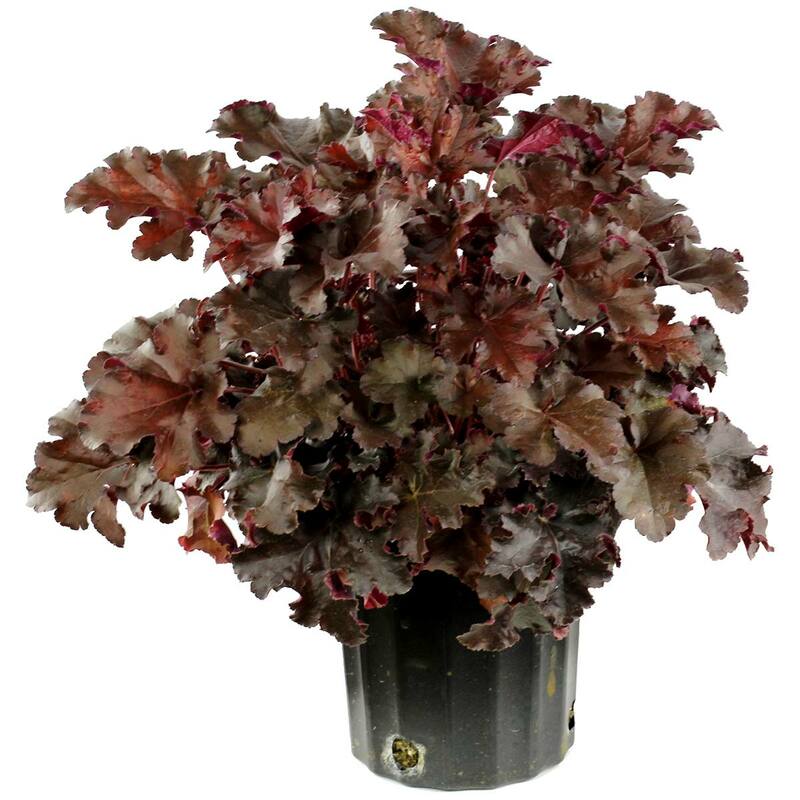 13" / 25" / 22"
Darker than 'Chocolate Ruffles' and with larger leaves and more H. villosa breeding with the H. micrantha. Compared to 'Black Taffeta', it has longer leaves with more of a purple tint, is less glossy, more lobed, and has smaller, less showy flowers. 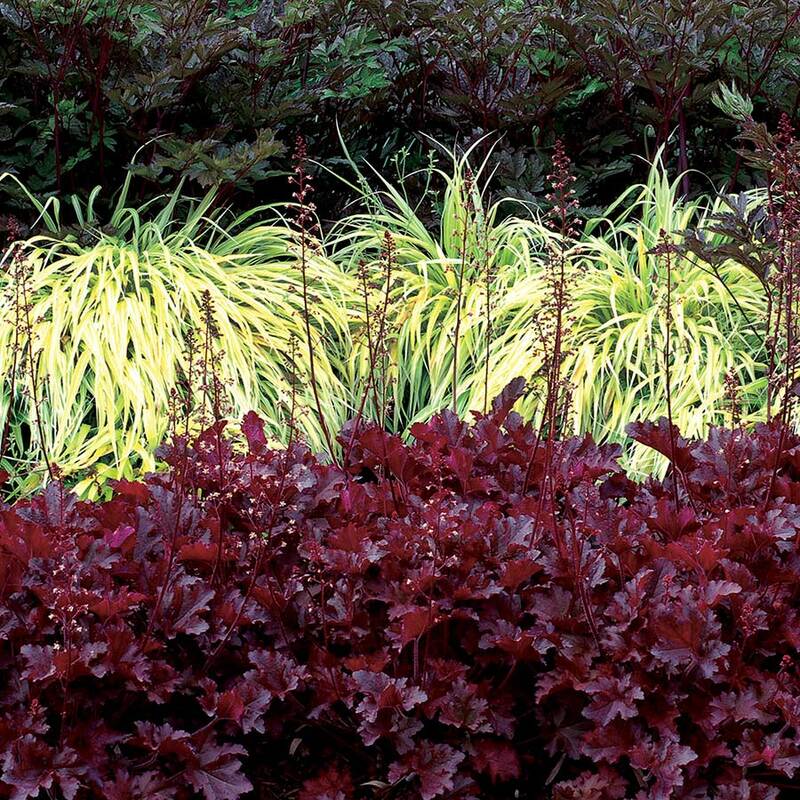 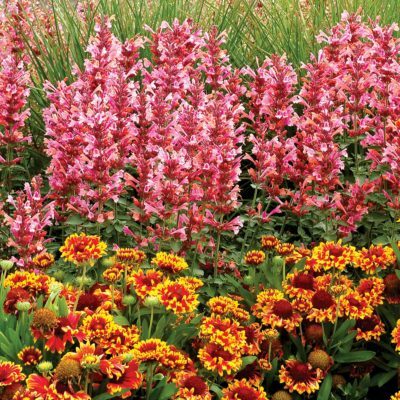 Container accent, shade accent, mass planting, mixed beds. 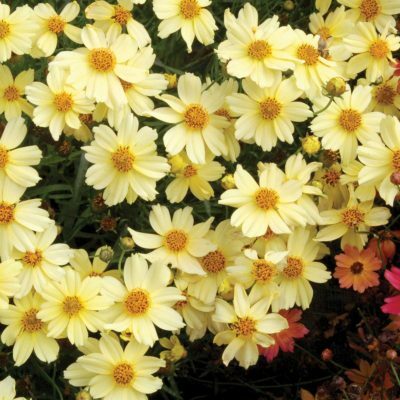 Given 5/5 points in trials at Disneyworld in Florida warm season 2016. 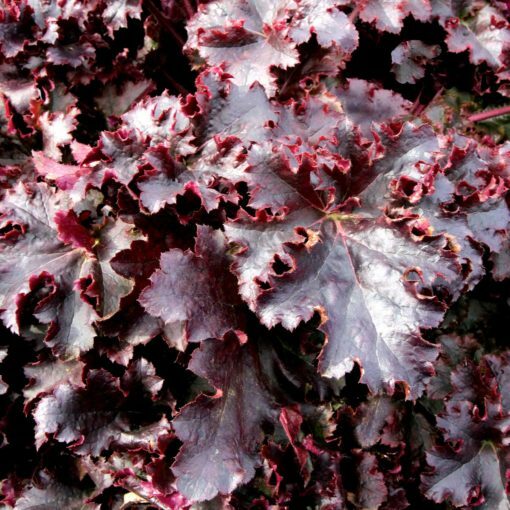 HGTV sells as HECK-OF-A-HEUCHERA™ Incrediblack™.